To participate in this club you must purchase your 12-month membership, click here. Come Make Mayhem with friends old and new in our first Mayhem Makers’ Club! Everyone has a maker’s list, right? 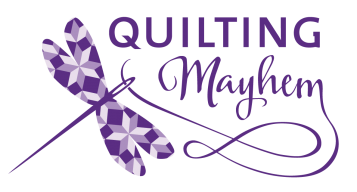 Join our new Mayhem Makers' Club (MMC), and give yourself time to complete your projects! We have a wonderful growing community of creatives who love sewing and learning together. Take advantage of our space and dedicate time to work toward your goals. One of our instructors will be on hand to help at each session. 3 Mayhem Mentor sessions: scheduled 1.5-hour sessions with an instructor versed in your focus area. Sessions can be with different mentors each time if you are working on a variety of skills. Click here to add the Mega Mayhem Maker upgrade to your class sign up. Download, print, and complete the Mayhem Makers' Club Worksheet and Project List before coming to your first session.